One day while at school, Stella Stamatakis’ daughter Elle, at the time five years old, was particularly excited. Her yiayia was visiting from Adelaide, which meant she would be picking up her granddaughter from school. That night when young Elle went home and recounted the story, it initiated a lot of discussion in the family; people have grandmothers, but they’re called different things. A primary school teacher at the time, and having grown up in the 70s when racism was rampant, Stella thought the moral of the story was a perfect spring board for teaching her students about cultural diversity and acceptance, and gave way to an annual classroom tradition. At the beginning of each school year, Stella would put up a list of the various names her pupils had for their grandparents in their cultures, so that when peers spoke of their grandparents it was no longer foreign. “One of my mantras was just to get them to accept different children with different names because when they’re not exposed to it, it’s funny. Children’s initial reaction is to laugh and they don’t realise that it’s quite cruel. We’re all the same, but a little bit different, and that’s okay,” she explains. That exchange between Elle and her classmate took place some 16 years ago, but has continued to linger in Stella’s mind, going on to be the inspiration for the plot of her first children’s book. Beautifully illustrated by Oscar Fa, What’s a Yiayia? set to be launched this month at Footscray Library, kicks off just as the real scenario in Stella’s life, with a little girl by the name of Eleni who tells her friend Luca about her yiayia. He has no idea what she’s talking about – that is until he realises that he too has one, only his is called nonna. In fact, all their friends – whether they’re Lebanese, Vietnamese, Chinese or from country Australia – have a grandmother, the only difference is the special name they have for her. A feelgood story about grandmothers and the special bond they have with their grandchildren, oftentimes shared over a meal, it has been a true labour of love for Stella. 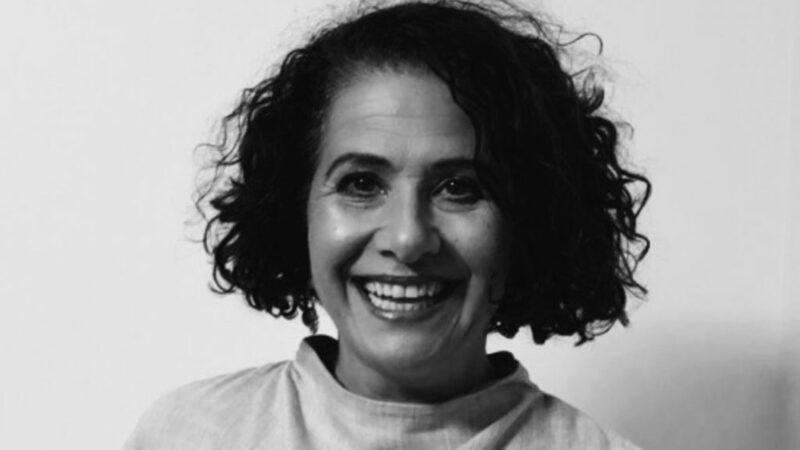 Born in Adelaide to Greek migrant parents, she says she has always been an avid storyteller. So at the end of 2018, Stella took the plunge and resigned from her post as a teacher, signed up for a writing class, and is now realising her dream. 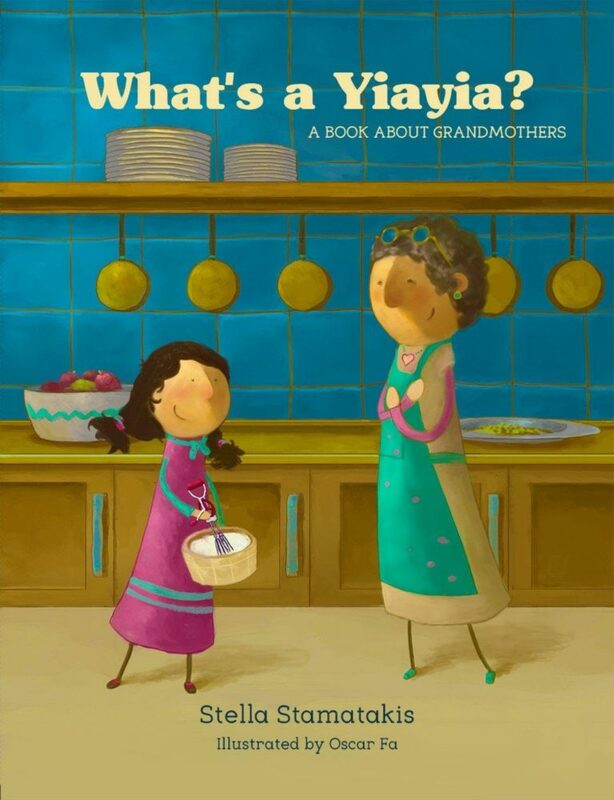 The cover of Stella’s first children’s book ‘What’s a Yiayia?’ illustrated by Oscar Fa. After 25 years of teaching in Australia and China, and working for the Department of Education and Training in Victoria, Stella has welcomed the greater flexibility that has come with her new lifestyle. “When I was teaching, I was scheduled for even when I could go to the bathroom, so it’s been fantastic just to get off the spinning wheel and have a bit of normality in my life,” she explains. Aside from writing, Stella now splits her time with volunteering at the Asylum Seeker Resource Centre and the Food Bank, where she pursues her other passion: food. “I really am a passionate foodie; if I didn’t become a teacher I would have been very happy being a chef!” she says. “I’m really happy to be helping other people and doing something that’s positive.” As is her children’s book. By drawing on her own cultural background, along with her passion for family, food and education, Stella hopes to encourage understanding, acceptance and diversity. “When my mum migrated as a young child, it was tough. She went to school and there were no English as a Second Language classes – it was a Grade 5 class and you were expected to do Grade 5 work with no master of the English language,” she says.